Watch the glow of an alpine sunset over a Sundowner – in the Peacock Gin & Co. Bar, you can enjoy the illuminated natural spectacle of nature in style with a drink from our extensive selection. 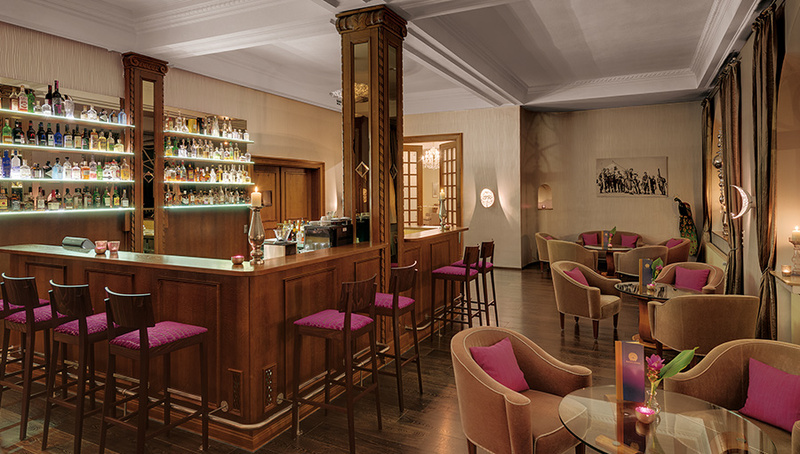 One can spend an eventful day relaxing completely and letting the day wind down in our hotel’s Peacock Gin & Co. Bar. 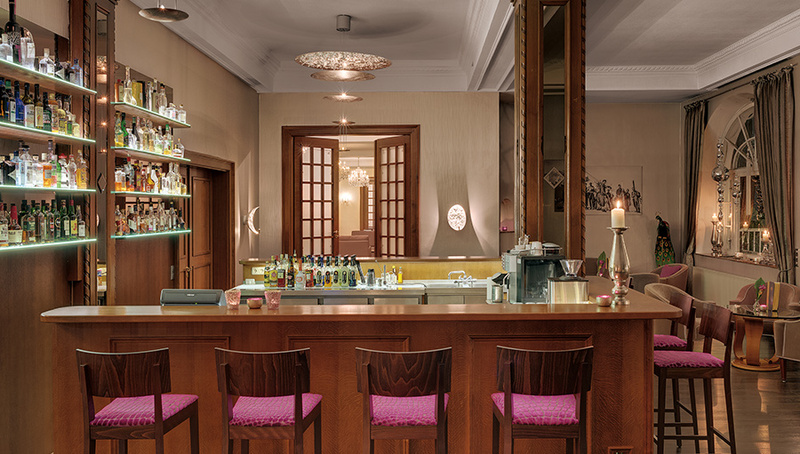 The bar’s windows – as does the entire hotel – provide a unique view of the Zugspitze and the impressive alpine panorama. In the evening, guests of the Grand Hotel Sonnenbichl like to gather in the Peacock Bar to watch the breath-taking sunset. The sun goes down behind the mountains against a picturesque backdrop while its last rays light up the peaks of the Alps. We warmly invite you to enjoy this impressive show in a relaxed atmosphere together with friends, family or colleagues. With a glass in your hand you can lean back and just let your mind wander. The menu in our bar has quite a few special features in store for you. You will look in vain for boring standard cocktails there. Surprise yourself with unusual creations such as the “Butterplum” or the “Roof Deck”. Just as delicious as the alcoholic cocktails are the non-alcoholic cocktails – you really must try the “Fired Apple Ice Tea”. If we have the ingredients, we will make up a cocktail to your own requirements as well as all the classical recipes. Apart from cocktails, wine and sparkling wines can also be found on the Peacock Bar’s drinks menu for toasting one occasion or the other. We also have a small selection of beers, soft drinks and juices. Hot drinks such as tea of coffee are also available. Our store of spirits is plentiful and we are particularly proud of our large selection of gin from all over the world. To go with this we have a small collection of tonic waters available for you. As most people prefer to spend balmy summer evenings outside, we serve all cocktails and drinks at this warm time of the year on the Panorama Terrace of the Grand Hotel Sonnenbichl.